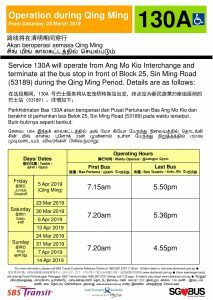 During the Qing Ming Period in 2019, both Short Trip Service 130A & Bus Service 405 will be in operation. 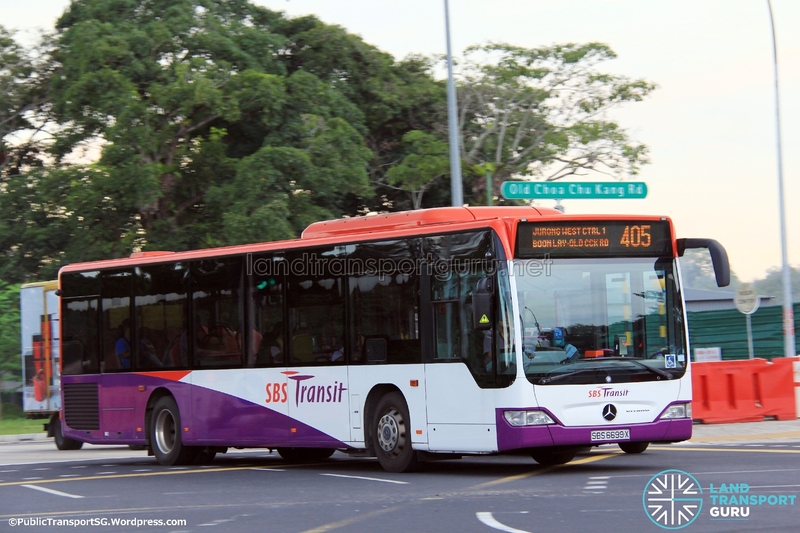 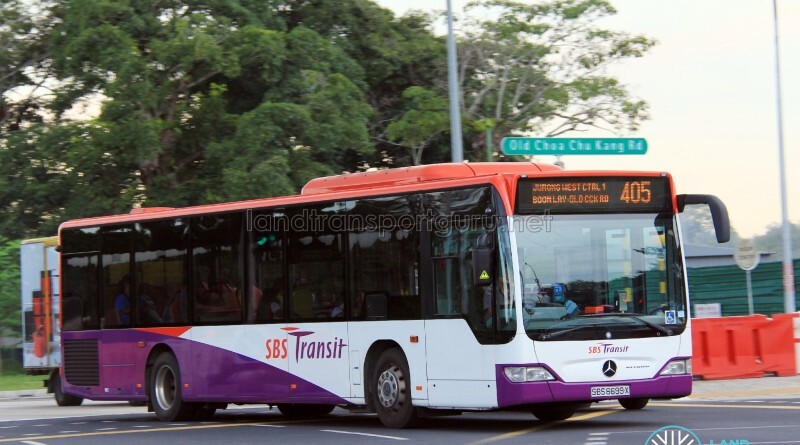 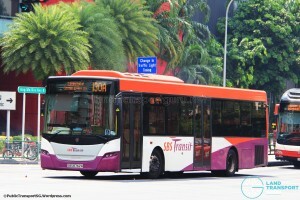 Service 130A caters to the increased demand of commuters from Ang Mo Kio Bus Interchange to Bright Hill Crematorium & Columbarium at Sin Ming, while Service 405 caters to the demand from Boon Lay Bus Interchange to Choa Chu Kang Cemetery, Choa Chu Kang Columbarium as well as Nirvana Memorial Garden at Lim Chu Kang. 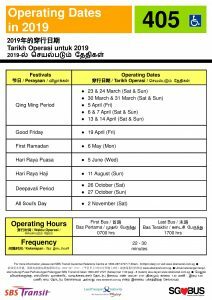 Apart from the Qing Ming period, Short Trip Service 130A also operates during the Vesak Day Period, while Service 405 also operates during other periods such as Good Friday, First Ramadan, Hari Raya Puasa, Hari Raya Haji, Deepavali Period and All Soul’s Day.